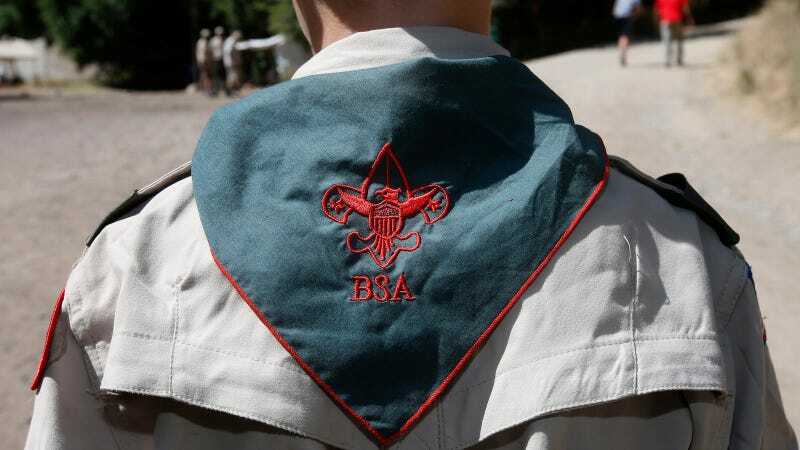 The Mormon Church has announced they’re cutting ties with the Boy Scouts of America (BSA), an organization with which they’ve had a relationship for over 100 years. According to the Washington Post, for the past 105 years, any boy who was a part of a Mormon congregation would automatically be enrolled in Boy Scouts, leading LDS children to make up at least 20% of the organization’s membership. But tensions have grown as BSA becomes more progressive, as demonstrated by their recent decision to allow girls and transgender kids as members. Most rankling to the LDS church, however, was the 2015 decision to allow gay scout leaders (though they do not acknowledge this in their letter), a move they were so “deeply troubled” that they began to scale back participation. Gay scout leaders need not apply.